It’s a perfect storm of causes. Mild winters, an increase in mushrooms and other tasty fungi that soak up radiation, proximity to Chernobyl, and a skyrocketing boar population. Hence, the country of Germany finds itself being invaded by radioactive boars from the areas around Chernobyl, and the problem is only getting worse. Not only are the wild boars attacking people in the streets and rampaging through towns, they’re also costing the government money. For every radioactive boar caught and shot, the German government pays out a remittance to the hunter (who loses out on the price of pork at the butcher shop, but gains in free government money). Government payments quadrupled to nearly $500,000 since 2007, and the number is only going to increase. That’s not counting the money needed to actually check every killed boar for radiation content. 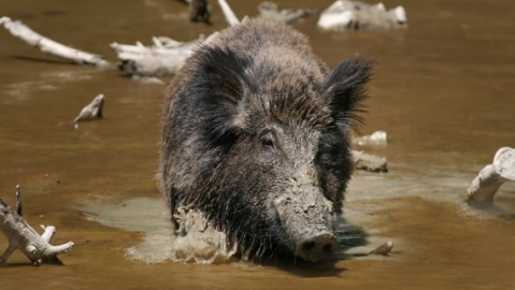 “In the regions where it is particularly problematic, all boar that are shot are checked for radiation,” Andreas Leppmann from the German Hunting Federation. In the German state of Bavaria, there are 70 boar checking stations to screen animals for offending radiation. That’s in a single region; who knows how many other regions are beset by atomic-age monster pigs!